Like taking part in discussion groups? Join Christina Farnsworth, discussion leader extraordinaire, who will asks provocative questions following the showing so you can share your views. 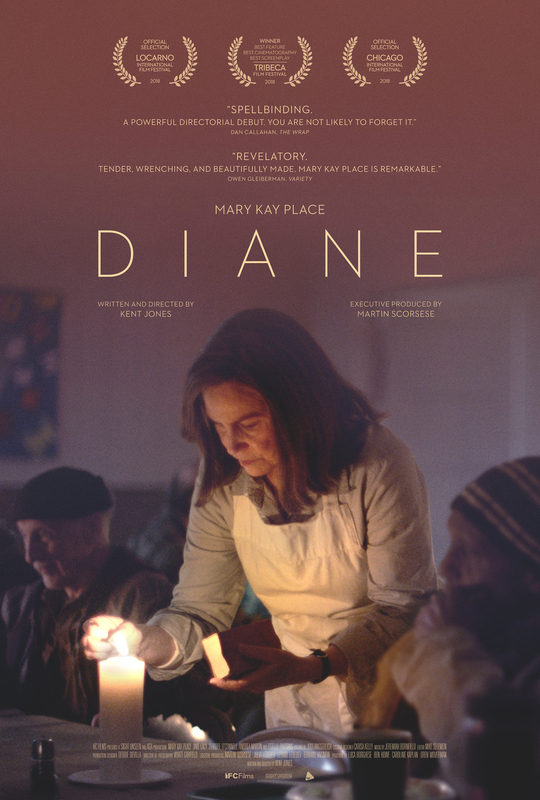 "Diane," the remarkable new film from writer and director Kent Jones is in part a meditation on dying that feels wondrously alive" says NYTimes film reviewer Jeannette Catsoulis. For Diane (Mary Kay Place, “Big Love,” I’ll See You in My Dreams), a widow living in rural Massachusetts, everyone else comes first. Generous but with little patience for self-pity, she spends her days checking in on sick friends, volunteering at her local soup kitchen, and trying valiantly but obsessively to save her troubled, drug-addicted adult son (Jake Lacy, Carol) from himself. But beneath her relentless routine of self-sacrifice, Diane is fighting a desperate internal battle, haunted by regrets for a past she can’t forget and which threatens to tear her increasingly chaotic world apart. Built around an extraordinary, fearless performance from Mary Kay Place, the narrative debut from writer/director Kent Jones (Hitchcock/Truffaut) is a tender, profound, beautifully human portrait of a woman rifling through the wreckage of her life in search of redemption. Accessibility: The West End Cinema is fully accessible. Members only. Registration is optional.